Home » Posts tagged "vCloud Director"
By Nick Howell on 01/26/2012. Posted in VMware. Tagged as Fast Provisioning, VAAI, vCD, vCloud Director, virtual storage console, VMware, vsc, vSphere. 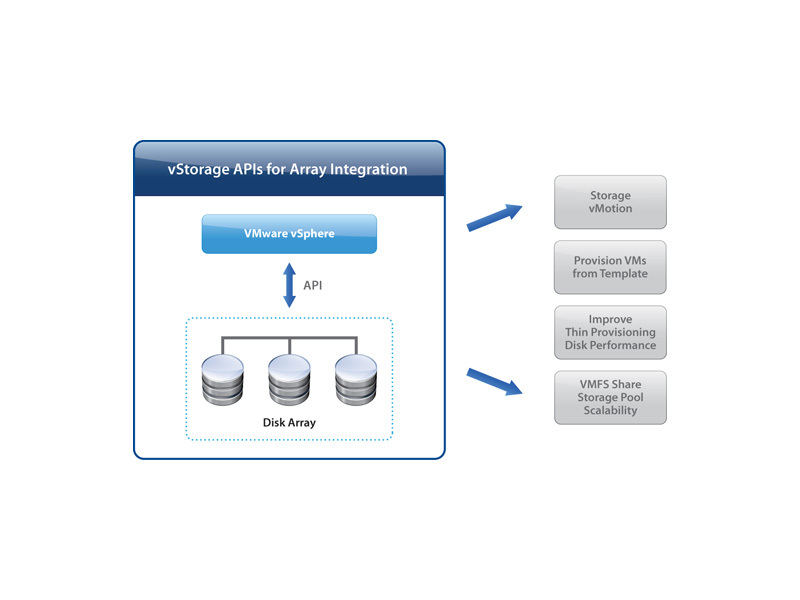 vStorage APIs for Array Integration (VAAI) is a set of features and primitives designed to enable vSphere to offload storage functionality to underlying intelligent storage arrays, reducing network bandwidth, and increasing the overall performance of the process by up to 10x. Traditionally, this was exclusive to block storage, but with the release of vSphere 5, VMware added the ability to leverage VAAI for NFS for Copy-Offload. In addition to that, VMware also released vCloud Director 1.5, which includes new Linked Clone functionality, similar to that of VMware View. Unfortunately, the problem still exists where Linked Clones are inherently misaligned. With VMware View, NetApp developed the Rapid Cloning Utility that is now a native provisioning function in the Virtual Storage Console. I can tell you that there is priority work being done to accomplish this same functionality with regards to vApp cloning within vCloud Director. Very cool stuff, and you’ll see it soon. Selling Cloud to Your Boss…and Yourself! By Nick Howell on 04/08/2011. Posted in VMware. Tagged as ITaaS, NetApp, Service-Oriented, SLA, Storage, vCloud Director, Virtual. What is vCloud Director, really?! By Nick Howell on 03/19/2011. Posted in VMware. Tagged as Apartment, vCloud Director, VMware.